The LANXESS arena in Cologne, annual host of the VELUX EHF FINAL4 handball showdown, took first place in the Pollstar ranking, boasting more than one million visitors to more than 100 major events within the first half of 2018. Among the 109 events hosted in 2018 are not only concerts and company events, but the absolute highlight of the handball season – the VELUX EHF FINAL4. Each year, the final competition of the VELUX EHF Champions League seasons attracts nearly 20,000 visitors to the LANXESS arena, offering a once-in-a-lifetime experience for all fans of the sport. This year, the VELUX EHF FINAL4 will be celebrating its 10th anniversary at the LANXESS arena on 1/2 June 2019. More than 8,000 tickets to the special anniversary celebration have already been sold, with handball lovers around the world looking forward to an exciting, action-packed weekend. 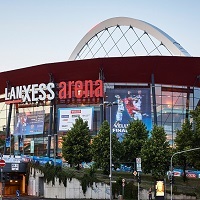 “Every year, we look forward to the FINAL4 competition in Cologne, not only because it represents an absolute must-see handball highlight for athletes, officials and fans around the world, but also because of the world-class LANXESS arena that has hosts the event each year,” said Michael Wiederer, President of the EHF. With nearly 600,000 sold tickets, Cologne took first place ahead of the WiZink Center in Madrid and the Madison Square Garden in New York City. In addition to major sporting events like the handball VELUX EHF FINAL4, the LANXESS arena has hosted top-class performances from stars like Kendrick Lamar, Shakira and Depeche Mode, all within the first half of this year.